Education as it is currently understood, particularly in the West, ignores the human soul, or essential Self. This essential Self is not some vague entity whose existence is a matter of speculation, but our fundamental “I,” which has been covered over by social conditioning and by the superficiality of our rational mind. In North America we are in great need of a form of training that would contribute to the awakening of the essential Self. Such forms of training have existed in other eras and cultures and have been available to those with the yearning to awaken from the sleep of their limited conditioning and know the potential latent in the human being. —Kabir Helminski, Living Presence, p. 6. Three years ago I had something of a breakthrough in my teaching philosophy that had been in formation for a long time. I had been searching my entire career for what power in education really means, and service learning had been my pedagogy of choice for the first twenty years, but in 2012 I began focusing extensively on the inner life. Then three years ago, prompted by G.I. Gurdjieff’s emphasis on the body, mind, and heart, I re-organized my “Service, Society, and the Sacred” (SSS) elective course around these three centers of intelligence, which I summarized in a blog entry. All the big themes that came together in that 2015 blog – body-mind-heart, the vertical dimension, and spiritual practices – are working well; I’m thrilled that after so many years of experimenting I have finally found a relatively stable curriculum. The one major addition in the intervening three years has been teaching of the Enneagram, which has become perhaps the most valuable aspect of the course for students. This entry, then, is a distillation of that earlier blog, and an attempt to further identity the essentials of this approach. My starting point in re-designing the SSS course is considering the developmental needs of HKIS juniors and seniors. With college looming on their event horizon, the big task for SSS students is the massive question, “What should I do with my life?”, which translates into the ever-present questions of what college for which major for what purpose. It’s the biggest question of their teenage years and maybe of their life trajectory: what is worthy of their time? And deeper still lies the question of identity: who do they want to be, as they consider the broad expanse of their lives? Personally, I sympathize with the genuine angst that my students suffer. And in terms of answering the big questions of SSS, their ordinary state of mind mitigates against a balanced and heart-felt inquiry into such important life decisions. So, what approach can be taken? Rather than taking personal interest surveys or a strengths finder approach, SSS opts for a more intuitive method to address these questions. Drawing upon the Wisdom Tradition, we use a body-mind-heart framework, which trains each core component of the self to become more capable of self-understanding. In using this framework as the organizing principle of the course, I find myself in agreement with philosopher Jacob Needleman’s assessment of these three centers: “Man’s confusion, his lack of unity, his unnecessary suffering, his immorality – in fact everything that characterizes the sorrow of the human condition – come about because these centers of perception are wrongly related, wrongly functioning, and because man does not see or care to know this about himself.” Reducing suffering, then, comes about through a re-integration of these three centers of intelligence. Second semester juniors in SSS class. In her book The Wisdom Way of Knowing my teacher Cynthia Bourgeault outlines her understanding of the life and teachings of enigmatic spiritual teacher G.I. Gurdjieff, who first codified these three fundamental intelligences for the modern world. Gurdjieff stated that humans are “three-brained” beings; the body, the mind, and the heart all have ways of perceiving and orienting, as well communicating with other aspects of the self. A healthy self, then, has all three intelligences interacting as an entrained trinity. By contrast, to be operating out of only one center, which in modern society is almost always the mind, means that we are functionally asleep. We need to wake up the body and the heart in order to come to self-understanding. Many contemporary spiritual writers speak of this intelligence of the body. Writer Phil Shepherd calls the gut “the second brain.” Michael Brown’s Presence Process teaches meditators how to follow their emotion-laden sensations deep into the body in order to liberate them. In describing this “Presence Process,” publisher David Ord comments that it “brings to our conscious awareness those deep unresolved emotional forces from childhood that have been driving us.” Similarly, Edwin McMahon and Peter Campbell contend in their book Rediscovering the Lost Body-Connection within Christian Spirituality that the “intellect’s eye cannot easily penetrate this inner world of felt meaning” (30) that is stored in our cells and tissues. Finally, Cynthia’s teaching of the Welcoming Prayer, which deals with daily emotional pain, instructs that when strong negative emotion hits, pause and experience that emotion’s bodily sensation in an attempt to integrate the energy rather than repress it. Seeing the body as a partner in the quest for wisdom requires a paradigm shift for most of us. Cynthia writes, “In many spiritual traditions of the world, the body is viewed with fear and suspicion, considered to be the seat of desire and at best a dumb beast that must trained and brought into submission to the personal will. But what is missed here – and it is of crucial importance – is that the moving center [the body] also carries unique perceptive gifts, the most important of which is the capacity to understand the language of faith in sacred gesture.” All religions use bodily movement – bowing, prostrations, symbolic hand gestures, sitting postures, conscious walking – to interlink the body, mind and heart together for holistic understanding. Consider the power of adding a hand gesture, which moves from the chest outward, to a song about opening the heart. A mental activity of rote singing moves into an embodied practice that works on both conscious and sub-conscious levels of the individual. It’s helpful to think of the body as an interface between the inner subjective self and an objective world beyond the self. Sensitizing the body to become a fluid medium linking self and world, a role it seems purposefully designed for, gives our physical structure an integrative function far more prominent than its frequent dismissal as a machine. It is the exercising of this underutilized natural intelligence that explains to a large degree the receptivity of my students to all kinds of spiritual practices in the form of conscious walking, doing body scans, or writing Chinese characters. Employing the body’s innate capacity for engaging and relaxing movement allows student to be present in the moment, giving the anxious mind a much-needed rest and time for rejuvenation. The strengths of the mind in terms of understanding and discernment – critical thinking, self-reflectivity, multiple perspectives – are quite evident to students. What is less obvious, however, especially in a school setting, are the hidden dangers of overreliance on this particular faculty. Cynthia explains, “The intellectual center . . . [has a] natural aptitude for reasoning, doubting, making fine discriminations. In their own right, these discriminatory skills are legitimate and profoundly necessary, built into the structure of the human mind itself. But in terms of the spiritual journey, trying to find faith with the intellectual center is something like trying to play a violin with a saw: it’s simply the wrong tool for the job. This is one reason why all religious traditions have universally insisted that religious life cannot be done with the mind alone; that is the biggest single impediment to spiritual becoming.” Is it any wonder, then, in the mind-intensive, frenetic atmosphere of high school that students find it difficult to come to any kind of abiding faith in deeply-held causes, values, or beliefs? To repeat, the mind is the wrong tool for the job. While high school classes certainly maintain an invaluable element of stretching students intellectually, the goal of the wisdom tradition in modern society is to bring the over-exercised muscle of the mind into sympathetic harmony with a revitalized body and heart. What is the proper role of the mind from the perspective of the Wisdom Tradition? When informed by an alive body and heart, the mind can provide a combination of understanding and intuition that articulates “the big picture” of our role in our communities, extending even to our existential place in the universe. In a world with an ever-increasing overabundance of data but a dearth of wisdom-clarifying crystallization of priorities, the value of a discerning mind cannot be overestimated. In other words, if life direction is about a calling from something beyond oneself, then awakening the heart gives students a new form of perception – a purified sensitivity – to what they are meant to do with their lives. Somehow deep down most of us sense that this exp ansive sense of heart has more to offer than the mind in itself, promising satisfaction that seems unattainable by the mind alone. Yet think of our society’s priorities. Whereas school requires about 15 years to teach us how to think before going off to university, our formal educational settings spend little time teaching us how to feel, a description that even sounds rather odd. 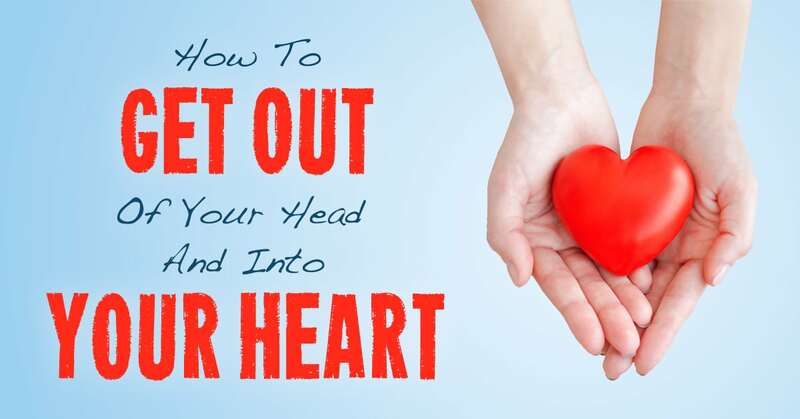 By contrast, Jesus states at in one of his most famous teachings: “Blessed are the pure in heart, for they shall see God.” The Wisdom Tradition argues that the path to ultimate satisfaction goes straight through the purified heart. Starting point: in the midst of making important and far-reaching decisions about their futures, students have great personal challenges managing their high school experience. Approach: The body-mind-heart framework offers students a balanced way to recover and reconnect to themselves. Body awareness: The “Be Healthier Today” project focuses on the foundation of pro-actively making healthier eating choices, which strengthens students not only physically, but also empowers them to take steps to improve their ability to cope with life challenges (summative #1). Mind insights: The Enneagram helps students understand and accept their personality type with all of their strengths, quirks and contradictions. Heart integration: Emerging from their self-exploration through the Enneagram, the spiritual practices project provides students with a practical daily routine to work towards rebalancing their physical, mental and emotional well-being (summative #2). Emotional Intelligence: Throughout the course I introduce practices and experiences that help students to explore the intelligence of their hearts, such as dealing with the inner critic, non-reactivity, burning their regrets, and re-enlivening their lives through rituals. Application: The DIY wellness project asks students to develop for themselves a holistic practice that can sustain their body-mind-heart selves (summative #3). Culmination: The final paper (3-6 pages) summarizes their learning, which they then share in a final ritual on the last day of class (summative #4). Many years ago I began teaching with the desire to discover power in education. What is the secret elixir of transformation that changes the lead of our normal experience into the gold of a student saying, “I feel myself radiate with life?” What I have learned by listening to my students is that there is a deep yearning to make a positive impact on the world; yet without interior exploration, even “making a difference” is not ultimately satisfying. The imperative of transformative education, then, is to balance the yang of social change with the yin of inner awakening, a harmony represented in Gandhi’s pithy directive: “Be the change you want to see in the world.” Satisfaction is always related to beingness. SSS in its many years of experimentation has returned to Aristotle’s insight, “Self-knowledge is the beginning of wisdom,” a truth that is reinforced every semester in SSS. Bourgeault, C. (2003). 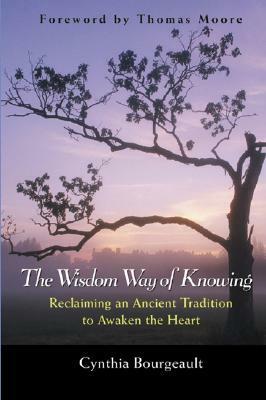 The wisdom way of knowing: Reclaiming an ancient tradition to awaken the heart. San Francisco: Jossey-Bass. Bourgeault, C. (2014). “Spiritual Practices from the Gurdjieff Work.” Online course on the Spirituality and Practice website. Brown, M. (2010). 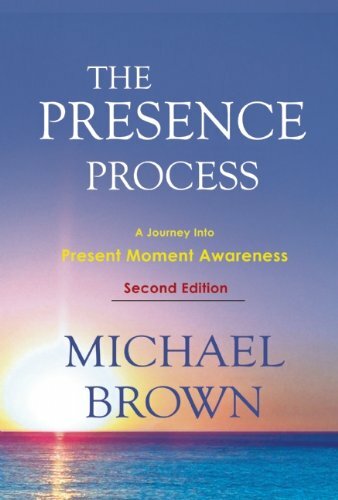 The presence process: A journey into present moment awareness. Revised edition. Vancouver: Namaste. Kabir, E. H. (1992). Living Presence: A Sufi Way to Mindfulness & the Essential Self, Jeremy P. Tarcher/Putnam. McMahon, E.M. & Campbell, P.A. (2010). 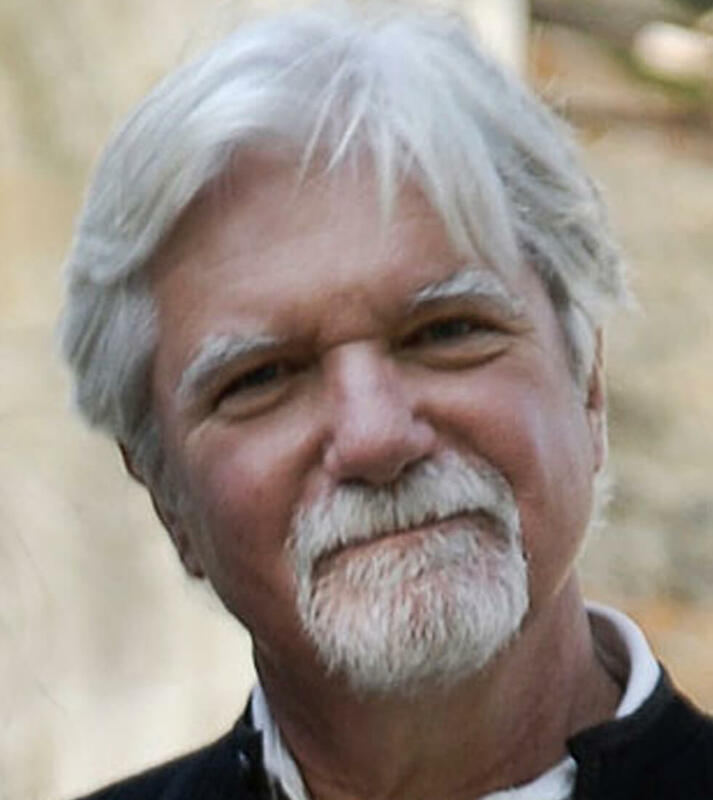 Rediscovering the lost body-connection within Christian spirituality: The missing link for experiencing yourself in the body of the whole Christ is a changing relationship to your own body. Minneapolis, MN: Tasora. Shepherd, P. “Out of our heads.” Sun Magazine, April, 2013. “I was in a sad, lonely place, putting on a happy face for friends and family so that they didn’t know what I was going through. Body: “Sensing is the work of the moving body center. It operates through a directly embodied or kinesthetic knowing. 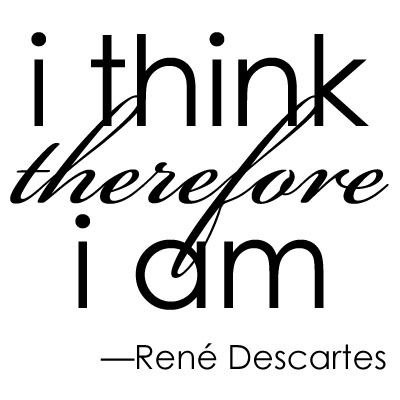 Mind: Thinking is the work of the intellectual center. It operates through deduction, logic and analysis, comparison, measuring and weighing. 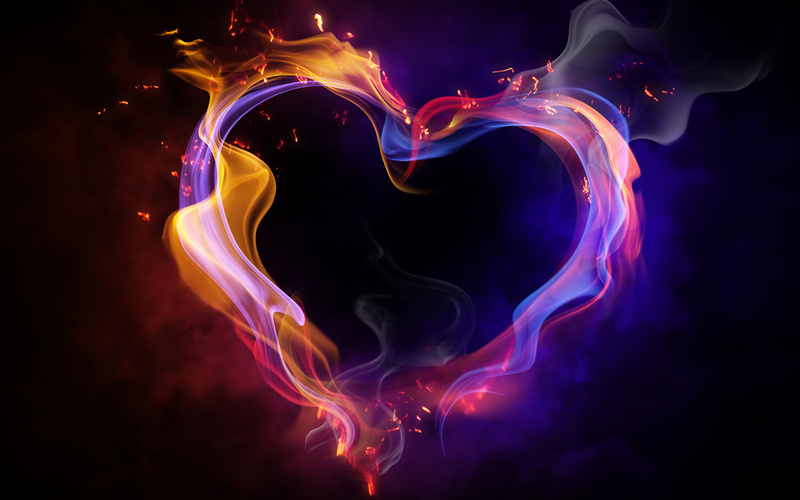 Heart: Feeling is the work of the heart center. It operates through vibrational resonance (i.e., empathy)” (day 5 of online course “Spiritual Practices from the Gurdjieff Work”). Whenever your heart space, your mind space, and your body space are all present and accounted for at the same time, you can experience pure presence, a moment of deep inner connection with the pure, gratuitous Being of anything and everything. It will often be experienced as a quiet leap of joy in the heart. Contemplation is an exercise in openness, in keeping all three spaces open long enough for you to notice other hidden material. When you can do that, you are content with the present moment and can then wait upon futures you know will be given by grace. This is “full-access knowing”—not irrational, but intuitive, rational, and trans-rational all at once. The supreme work of spirituality, which makes presence possible, is keeping the heart space open (which is the result of conscious love), keeping a “right mind” (which is the work of contemplation or meditation), and keeping the body alive with contentment and without attachment to its past woundings (which is often the work of healing). In that state, you are neither resisting nor clinging, and you can experience something genuinely new. Those who can keep all three spaces open at the same time will know the Presence they need to know. That’s the only prerequisite for true prayer. People who can simply be present will know what they need to know—the Presence that connects everything to everything. 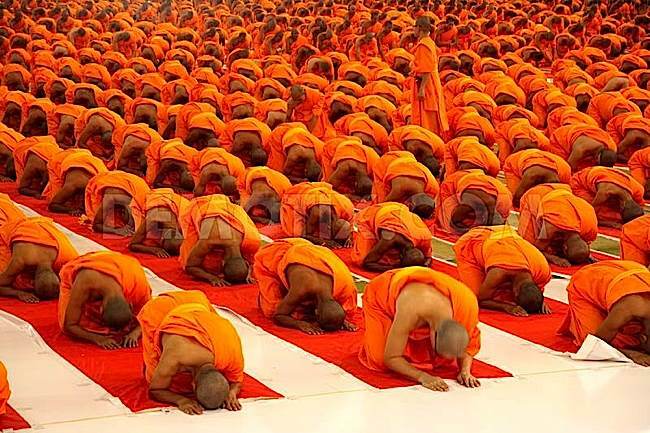 This way of knowing has little to do with belonging to any particular denomination or religion. This entry was posted in inner awakening and tagged depression, Service society and the sacred, spiritual practice, transformative education, transformative learning, wisdom, Wisdom Tradition. Bookmark the permalink.